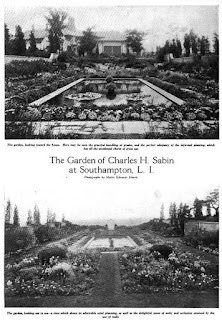 The Marian Coffin designed gardens at 'Bayberry Land', the Charles H. Sabin estate designed by Cross & Cross c. 1918 in Southampton. Click HERE and HERE for more on 'Bayberry Land'. 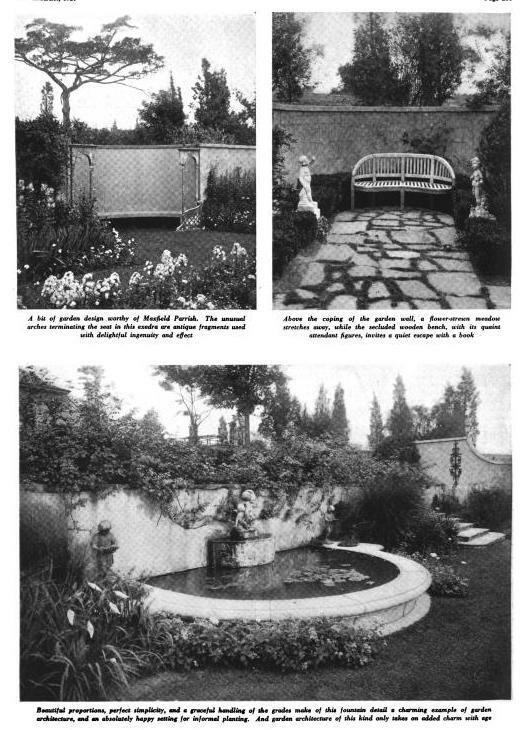 Photos from Arts & Decoration, 1920. Have I missed some link to color pictures of the gardens? 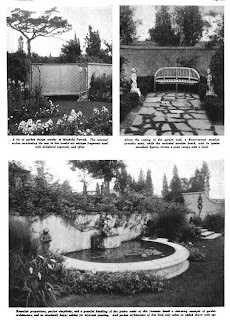 Ancient, although I THINK I've seen a handcolor view, maybe an albertype postcard, of the sunken garden looking toward the house, for the life of me I cannot suss out where. However, in other news, I just noticed that the iron lantern frame from atop the forecourt gates has been repurposed above the old main gates at Bayberry Land, now entrance to Sebonack Golf Club.